WASHINGTON, D.C. – The Military Bowl® presented by Northrop Grumman, benefiting the USO, announced today that Virginia Tech and the University of Cincinnati have accepted bids to play in this year’s game. Kickoff is set for 1 p.m. ET on Saturday, Dec. 27 at Navy-Marine Corps Memorial Stadium in Annapolis, Md. The game will be televised nationally on ESPN. This will be the 11th game between the teams, with the series tied 5-5. 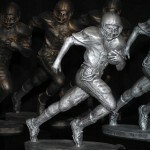 Cincinnati won the teams’ most recent meeting, 27-24 on Sept. 29, 2012, at FedEx Field in Landover, Md. The Hokies and Bearcats have played twice previously in bowl games, with Virginia Tech winning 20-7 in the Orange Bowl following the 2008 season and Cincinnati winning 18-6 in the Sun Bowl following the 1946 season. Virginia Tech (6-6) will be playing in a bowl game for the 22nd consecutive season, the second-longest active streak in the nation and the fifth-longest all-time. 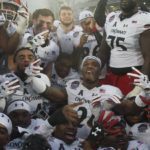 Cincinnati (9-3) is playing in a bowl game for the fourth consecutive season. The Bearcats closed the regular season with seven consecutive victories to earn a share of the American Athletic Conference title. Virginia Tech Coach Frank Beamer and Cincinnati Coach Tommy Tuberville have faced off one other time, when Tuberville’s Auburn team capped an undefeated season with a 16-13 victory over Virginia Tech in the Sugar Bowl following the 2005 season. The seventh annual Military Bowl® presented by Northrop Grumman kicks off on Dec. 27 at 1 p.m. ET at Navy-Marine Corps Memorial Stadium, featuring a matchup between the Atlantic Coast Conference and the American Athletic Conference. 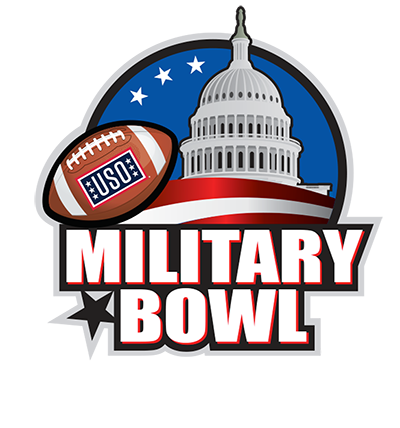 Organized by the DC Bowl Committee and Events DC since its inception in 2008, the Military Bowl serves as a premier regional event benefiting the USO and other organizations supporting members of the Armed Forces and their families. 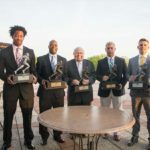 For more information, please visit militarybowl.org. The USO lifts the spirits of America’s troops and their families millions of times each year at hundreds of places worldwide. The organization provides a touch of home through centers at airports and military bases in the U.S. and abroad, top quality entertainment and innovative programs and services. The USO also provides critical support to those who need it most, including forward-deployed troops, military families, wounded warriors, troops in transition and families of the fallen. The USO is a private, non-profit organization, not a government agency. The programs and services are made possible by the American people, support of corporate partners and the dedication of volunteers and staff.